Links - Heritage Morgans ......Our Heritage Is Your Future! Goddards look after all aspect of the farm for us, from building our Collecting Room, to supplying the horses with hayledge and bedding!! 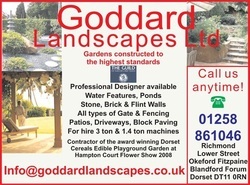 A family run business, with big business standards. No job too big or small. Kelly Green Acres is owned by Maggie Kelly Hood and her home, is my second home acoss the pond!! I never want to come back when I go to visit, the people who work for her, the clients, the friends are made to feel like Family - the KGA Family. Her Trainer, Nikki Rae Woodworth is one of my dearest friends. 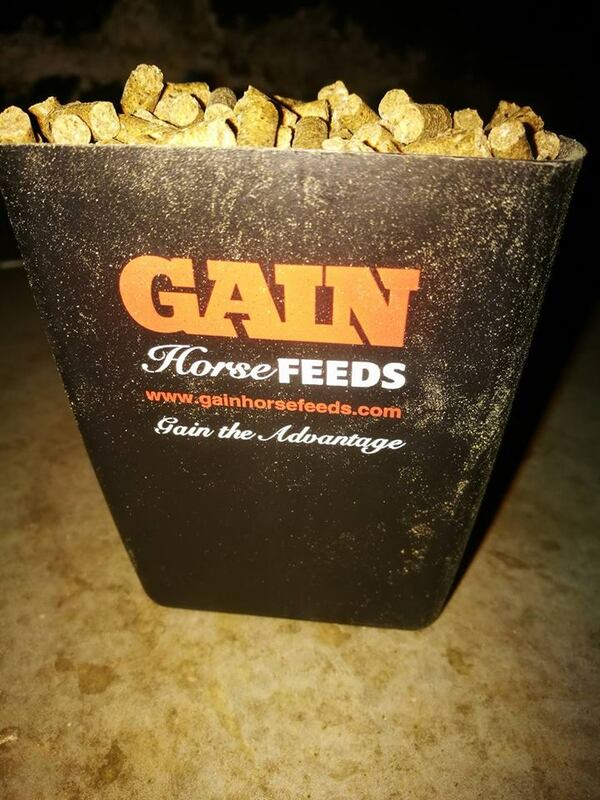 She has an ability to partner horse and client together, proof enough in the WC Horses and Riders that consistently appear in the Winners Circle! 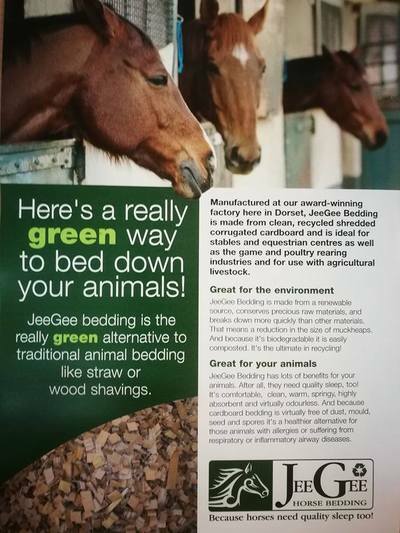 Absolutely LOVE having my horses on this bedding!! £6 – Blandford ForumOur Dorset based JeeGee bedding is made from 100% recycled materials. 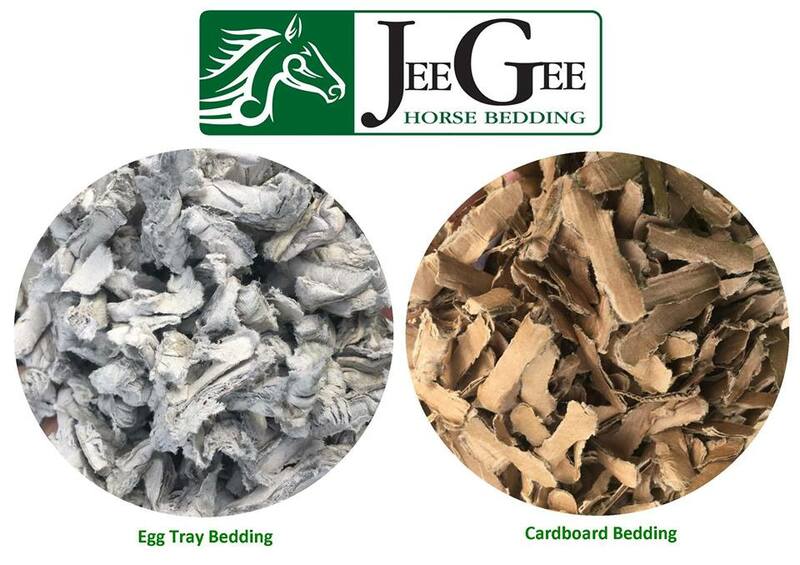 Our Egg tray bedding designed specifically for horses and our cardboard bedding, which can be used for all animals. Our JeeGee bedding is £6 per 20kg bag inc VAT and can either be collected from our main warehouse in Blandford Forum or delivered to your door. 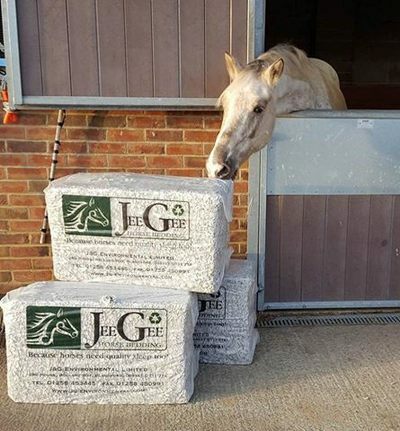 FREE DELIVERY on orders of 20 bales or more to the Dorset & Hampshire area. 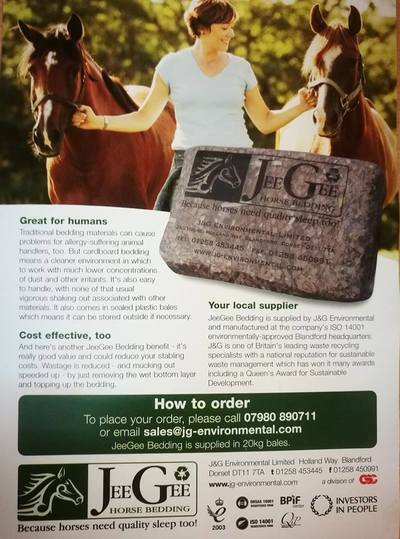 For smaller orders or for delivery outside of the above areas, please contact us for a quote.